Don't you love her face? What is she thinking about? More importantly, what does she count when she can't fall asleep. All this and more for you to ponder as you gaze at her pensive expression. 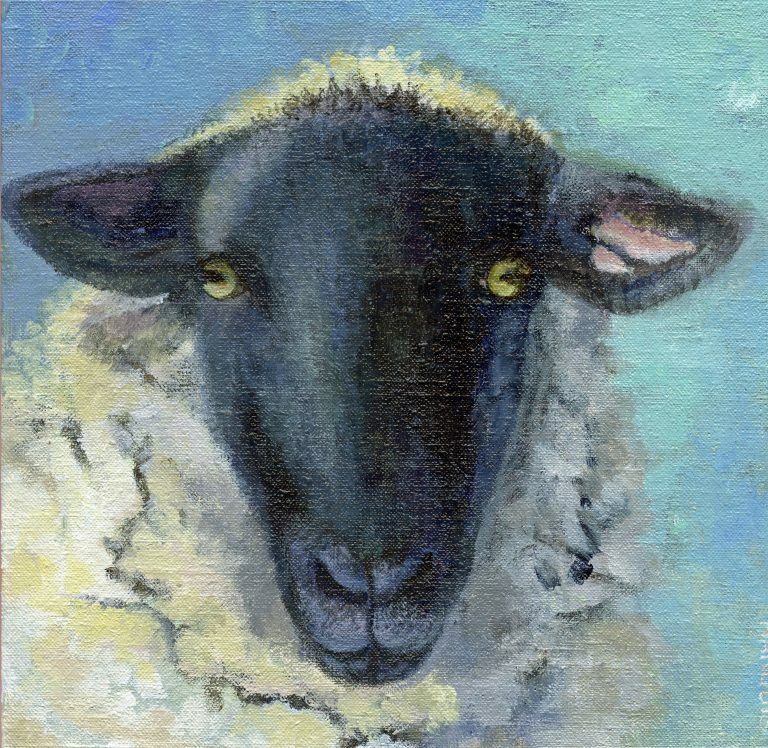 For yourself or as a gift, Winter Ewe, is available as a signed print on archival fine art paper, ready to mat and frame. Two sizes: 5 X 7, and 8 X 10. Free USPS Priority shipping.